Campbell Crew: Coffee Filters...for more than just coffee! Coffee Filters...for more than just coffee! I like resources. This book has become just that to me. 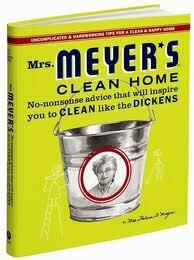 A great resource for tips to keep my house clean. I like tips too. Especially those that make my life easier and improve our quality of living at the same time. Our house isn't perfect. It's lived in. No profound statement there yet somehow, I used to think I wasn't successful unless the house looked 'show ready'. Whatever. I'm beyond that now...this is real life people. Projects are still on this month's "to do" list and many more continue to brew in my mind. But for the day-to-day living I can say our house is a clean, lived in home meaning there is always something to do but the basics are being maintained. In the past I've had a love-not so thrilled with the mirror / window cleaning version of Shaklee's H2 concentrate. While I enjoy and encourage the use of cleaners that clean without adding toxins to your household (and saving money in the process! ), I haven't always been thrilled with my mirrors and windows and sometimes broke down and bought the streak free windex cleaner...which had recently run out. What to do? 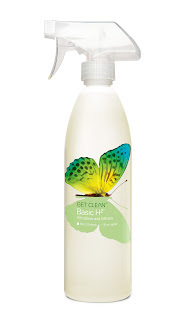 I really really want to like my toxin-free, family safe cleaner but I want my mirrors to look good for a whole week...not just for a couple hours until they get that cloudy look or streaks that suddenly appear that weren't there before...or they were hiding. Enter the tip...coffee filter. I was doubtful. How could this really make the difference? I actually didn't think of it right away and sprayed the mirror, drying it with the usual cloth and pouted as the dismal results. I prayed. I really did. I know it's just cleaning but, if you haven't realized it yet, Jesus is one of my best friends and I talk to Him about everything. Today, that included my cloudy looking mirror. It was then I remembered the tip of the coffee filter. Mrs. Meyer's actually suggests newspaper too but then my hands get yucky and I don't like that either. I got one of my filters and sprayed the mirror again. The result almost took my breath away. Literally. I'm not even kidding. Have you used coffee filters before? Newspaper? What works for you?